It’s spring time but sure as hell the weather isn’t very spring friendly because it’s, umm freezing again! It feels like it’s been so cold for the best part of almost a year and, well I just want some sun and warmth! 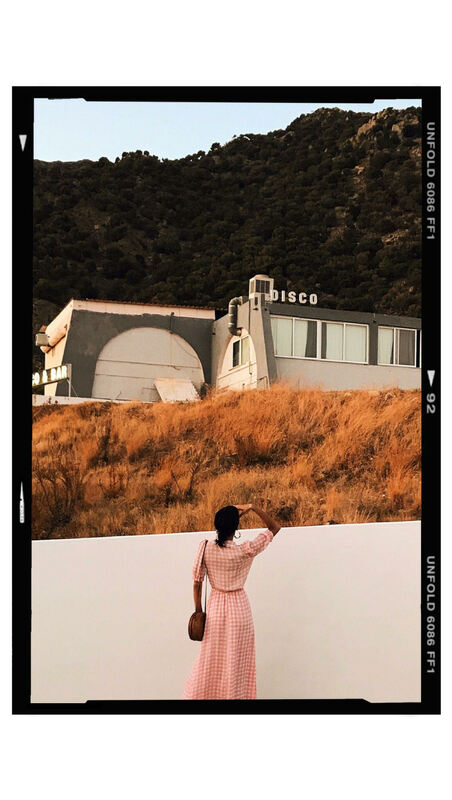 But can we take a moment to appreciate this super versatile jumpsuit from Wallis (here and here – and it’s in the sale). 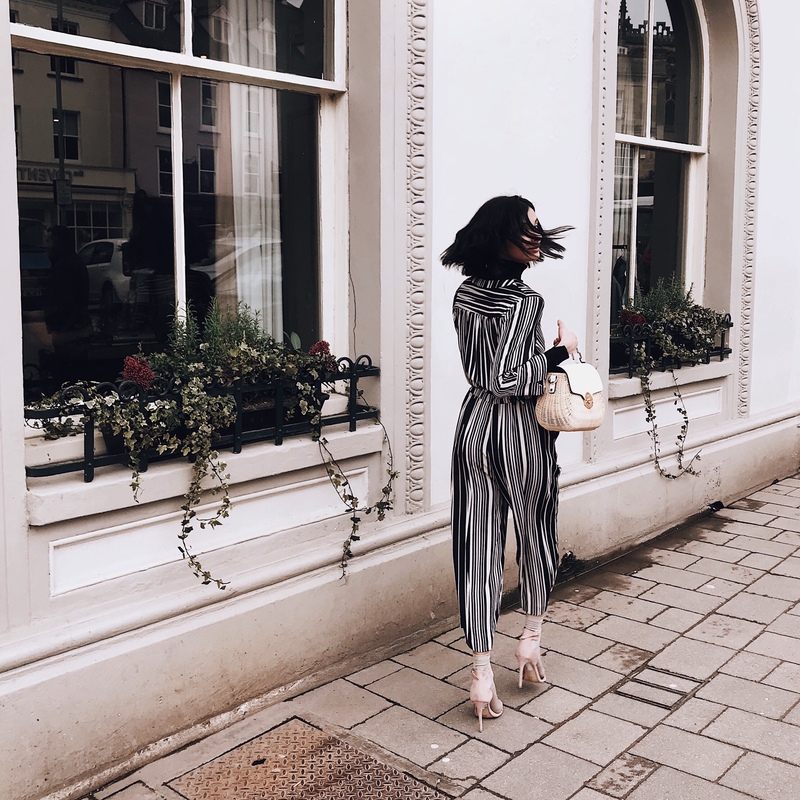 It’s the perfect monochrome jumpsuit that you can wear for the office, in the day for a girls brunch and then straight to an evening night out with loved ones. It’s versatile for you to pretty much wear it in different ways which is why I love it. It has a tie in waist so that you can easily pull yourself in, keeping the look clean and comes up just above your ankles so you can easily wear it sandals or sneakers. 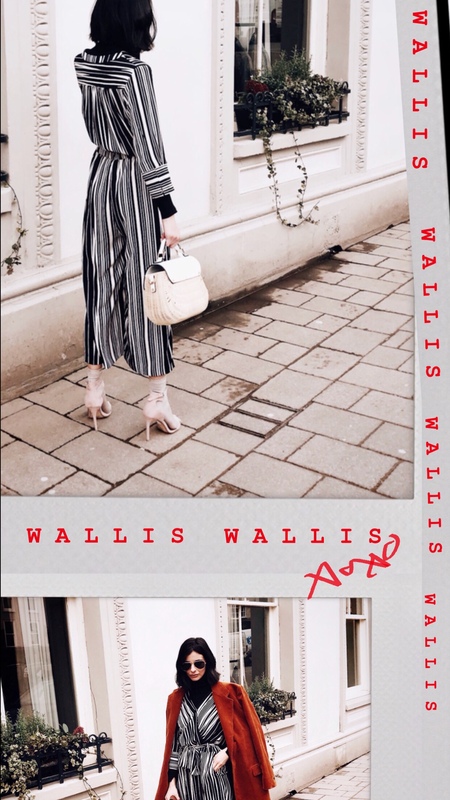 I’ve admired Wallis’s designs for some time now and they are currently making the best pieces such as co-ordinate two piece suits (I’ll be showing you in a post in two weeks time) that look like they have just walked right out of a catwalk. 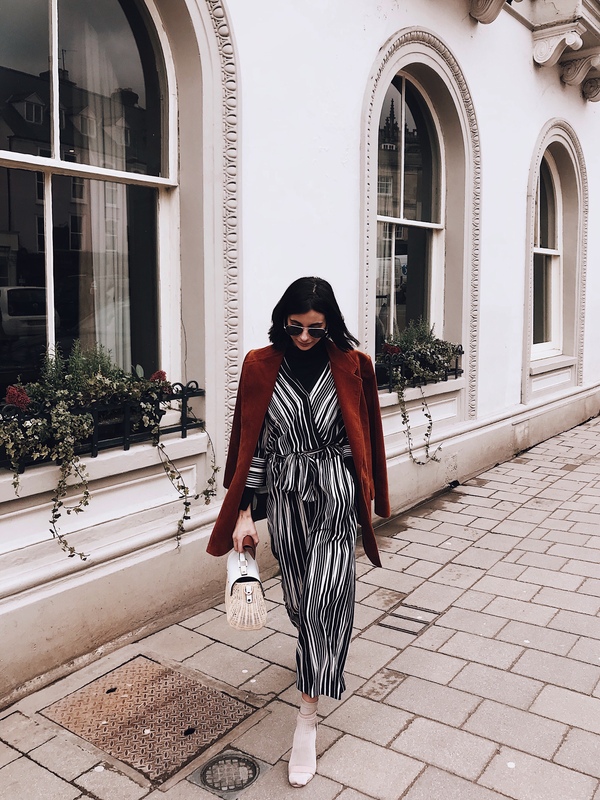 I wore this jumpsuit for a family brunch and because it was still cold, I teamed the jumpsuit with my Mango basic roll neck (here) which has become my go-to essential in the colder months as you can pretty much wear it with anything yet still keep warm and chic at the same time. And if you know me, you will know how much I love to team my shoes and sandals with socks (here) it’s become somewhat of a signature look for me. 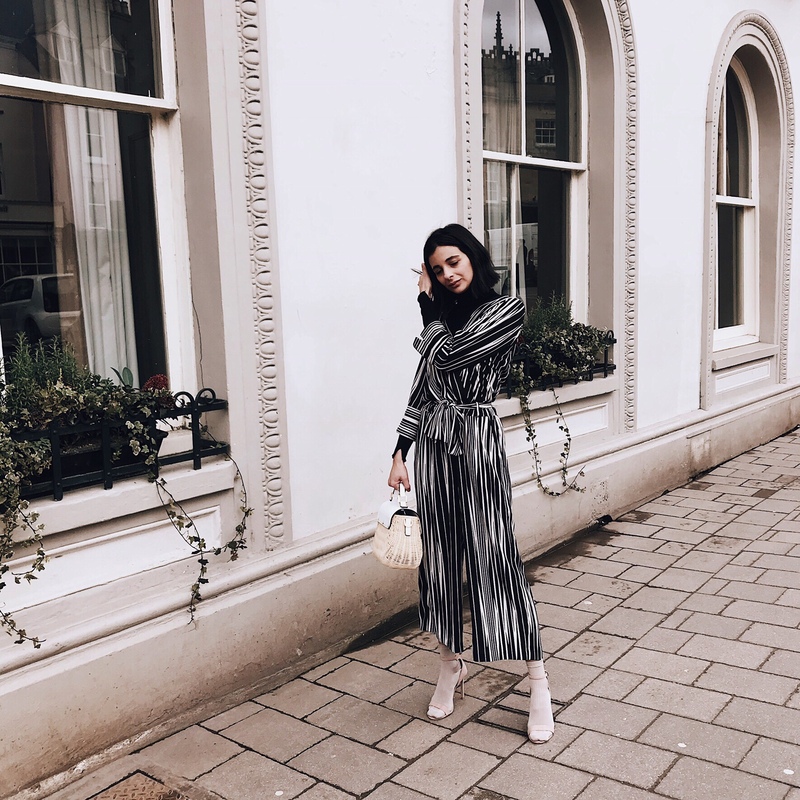 Pulling the jumpsuit together with my signature socks and sandals combination gives a pretty jumpsuit some edge which worked really well together, not to mention keeping my toes warm. 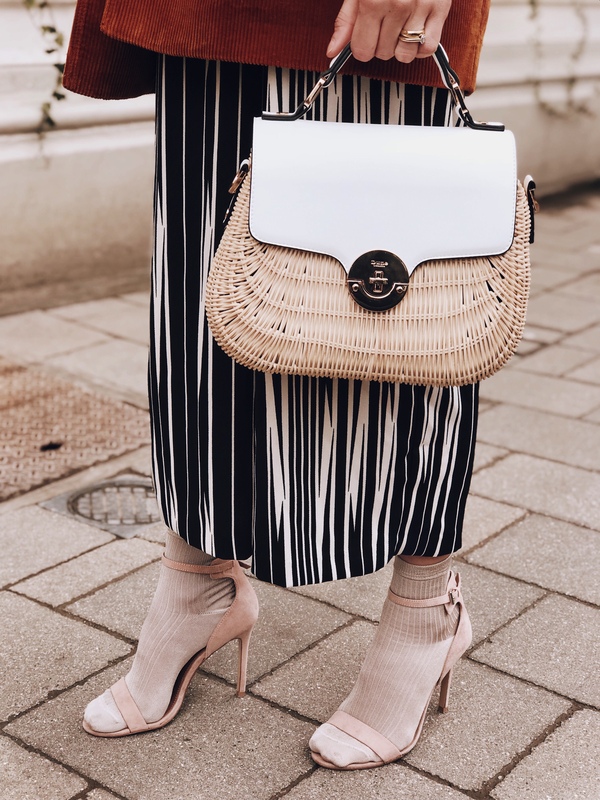 To bring some spring into my outfit, Dune sent me the most chic basket bag (now you guys know I’m a sucker for basket bags) which isn’t out yet (but I’ll be sure to let you know) and it gives the outfit the spring like feel it needed. 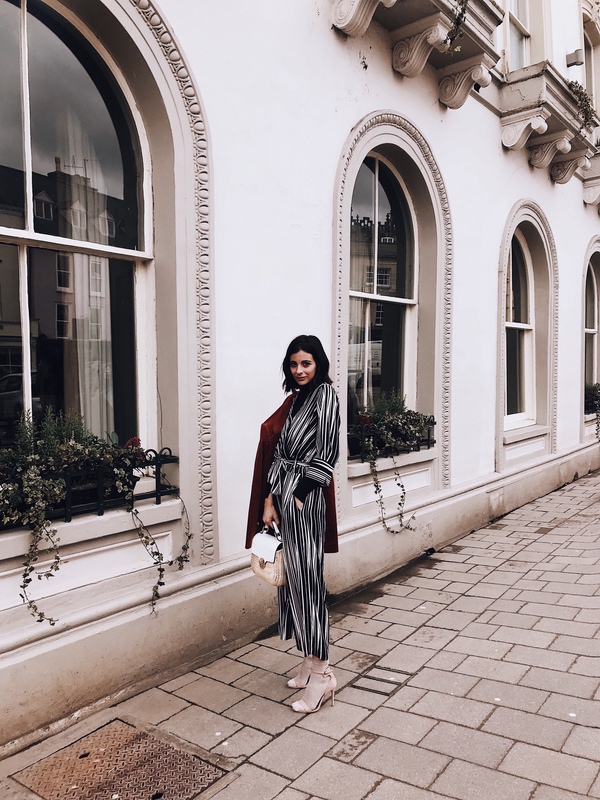 Love how you styled the jumpsuit! I’ve been dying to wear mine since it is still cold in Chicago! Stunning look, and an actually clever way to style something that’s summery. Love it. I love the way you edit your pictures. Will you be doing a post on this with hints and tips? Everybody is just so excited with spring. 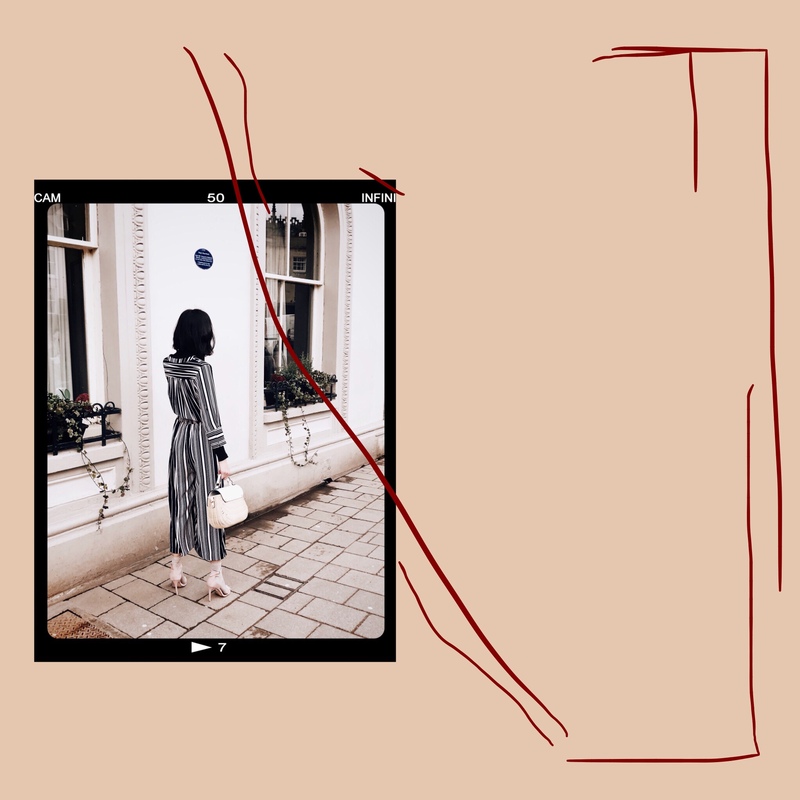 This is a beautiful way to wear a jumpsuit. Stay cool with the cold weather. You’ve styled this with class and elegance yet with an edge of coolness. Not quite sure how you nail it every time but you do! Love following you along this journey.